Family fun day in Malaga. 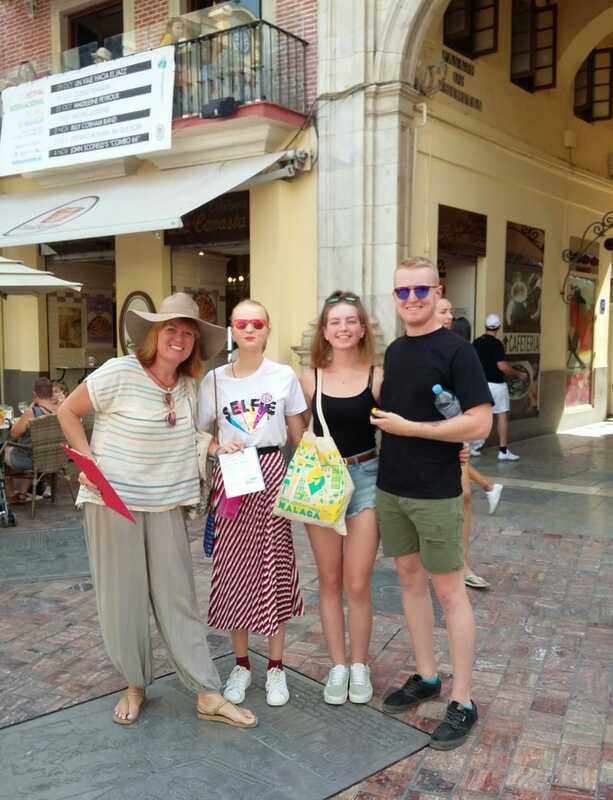 The small family-run team of Malaga City Adventures met us at our start location in the Plaza de la Constitucion in Malaga. The game plan and story-telling commenced. We were pointed and guided in the right direction to start our treasure hunt adventure. We were given a bag full of goodies, props and clues. Together with a GPS cleverly loaded with the locations of each clue, in an order to suit so our group wouldn’t bump into any other detectives en- route. A guide time for the challenge was given of 2 1/2 to 4 hours. 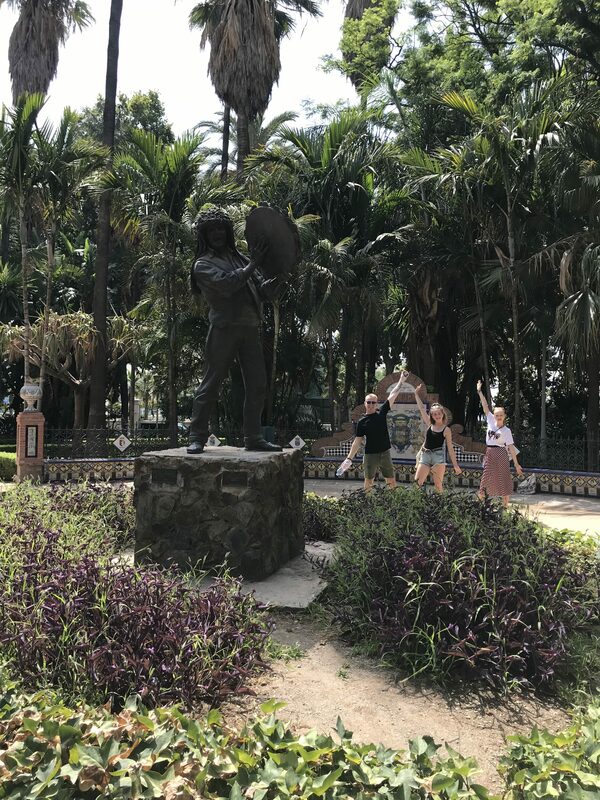 Everyone can go at their own pace, enjoy the delights of the city on their way, browse at shops, stop for ice-cream (I recommend Casa Miro) or a cooling drink. Discussing in our family group our tactics 😉 we said we would go slowly and take our time. That didn’t happen we got so absorbed and enjoyed it so much, we actually completed the task and found the treasure in record time. I won’t describe the end too much, don’t want to give the game away, but is there any treasure ??? YES, THERE IS. This activity was a unique and enjoyable way to explore Malaga, even for us who know the city well, we found new gems and looked at places in a different light. Perfect for tourists, groups, families, friends and couples of all ages. 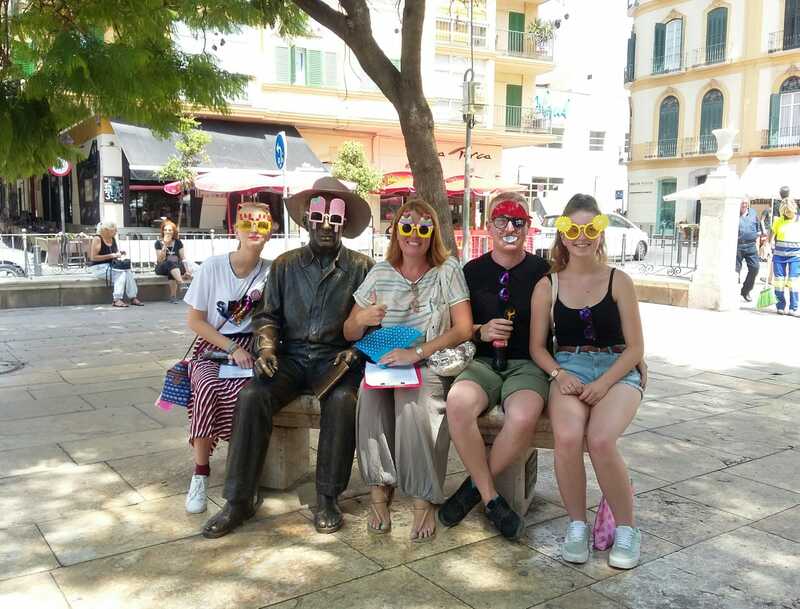 Malaga City Adventures offer the Treasure Hunt a Malaga Crime Challenge for would be detectives, Team Building and Stag & Hen Do Parties.